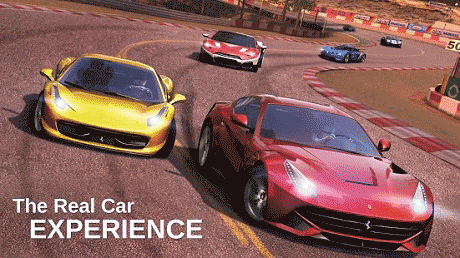 GT Racing 2 The Real Car Exp is a Racing game for Android. Download last version GT Racing 2 The Real Car Exp apk + Mod Money + Data for android from revdl with direct link. GT Racing 2: The Real Car Experience is a true-to-life automotive journey featuring the most prestigious cars in the world! The best-selling franchise is back for free and it’s designed to offer an unprecedented level of driving enjoyment, whether playing solo or multiplayer. • The richest handheld racing simulation game this year: 71 licensed cars on 13 tracks, including the real Mazda Raceway Laguna Seca. • A superb collection of real cars from over 30 manufacturers: Mercedes-Benz, Ferrari, Dodge, Nissan, Audi, Ford, and more. • Test your driving skills by completing 1,400 events, including Classic Races, Duels, Knockouts and Overtakes. • 28 new challenges each week: improve your driving skills & maybe win a new car for free! 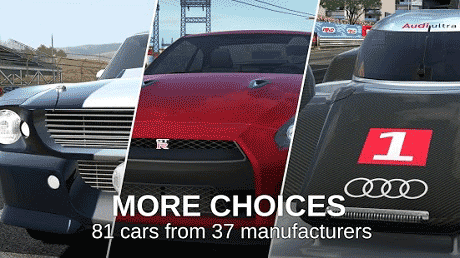 • The new physics model offers the most realistic car dynamics ever offered in a handheld game. • The sun is not always shining in GT Racing 2: Our tracks have different times of day and weather conditions. • Race your way by choosing from among 4 different cameras, including a breathtaking interior view, and feast your eyes on real car designs! • No repair times or repair costs! We won’t make you wait or pay to race in an event again. • Compete with your friends or with real players from all over the world. Earn the fastest time on each race in multiplayer! • Join teams to play with other drivers and accomplish common goals. Revdl, note that this is not a mod. The game requires internet on the first run, which automatically resets the data to have limited money. Please fix this. Hi is this mod if not can you update to mod ???? Hi I download GT Racing 2 on Laptop Windows 7 Ultimate to send to my Android but when I want to download it on Laptop its say (Sorry, the page you are looking for is currently unavailable. Please try again later). And If you are the system administrator of this resource then you should check the error log for details. Bernard which device are you using? Hey bro plzz help me how to install mod games if mobile is not rooted?? Hi there , i have download the apk file . And i couldnt start the game even using lucky patcher . It load till halfway and exit by itself. Please help! is there any mod in the game ?